The number of Americans living to 65 years (an arbitrary, and possibly obsolete, cutoff) is increasing. Katz et al. 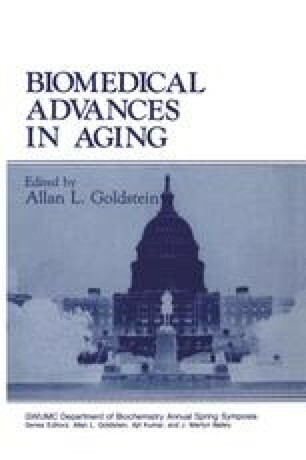 (1983) estimated that men and women aged 65–69 years in Massachusetts had 13.1 and 19.5 years of life remaining, respectively. At age 85, remaining years of life were 6.5 for men and 7.7 for women. As the life span has continued to increase, the recognition has come that attention needs to be paid to the nutritional requirements of the elderly. These requirements are influenced by the physiological realities of aging as well as by sociological and psychological factors which do not play an important role in younger persons. All these problems must be addressed in order to provide the elderly with a diet replete in macro- and micronutrients.